Quiet 3 BR/2BA ranch on cul-de-sac, steps to bike trail. Large backyard w/ deck outside shower, seating area & gas grill. Enjoy cooking on the gas grill and dining at our outside table. Smart TV in living room, Netflix, high speed internet access. Relax in our open dining room. Open floor plan. Looking from living room out to deck. 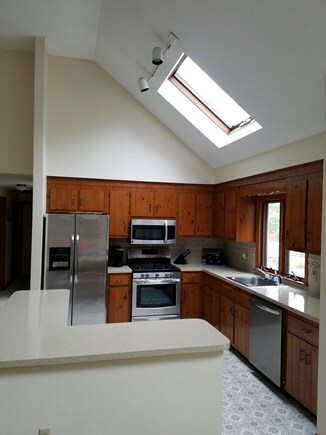 View from kitchen of vaulted ceiling. New kitchen appliances installed June 2017. Master bedroom with separate full bath. 2 beds: 1 Queen, 1 Full with new Serta Pedic mattress. 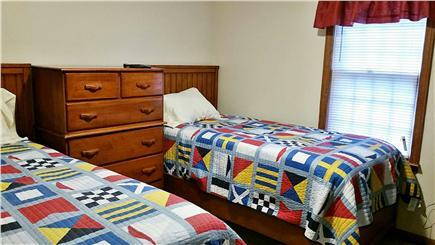 Relax in our nautical themed twin bedroom. 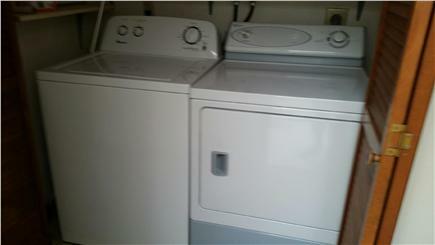 Washer and dryer conveniently located on first floor. 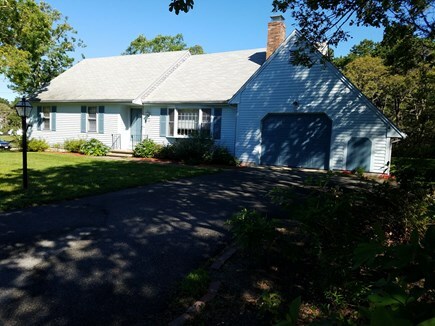 Just listed, This newly renovated home is nestled in a beautifully landscaped lot in a quiet neighborhood located right on the Harwich Chatham line just off the Red River Beach. 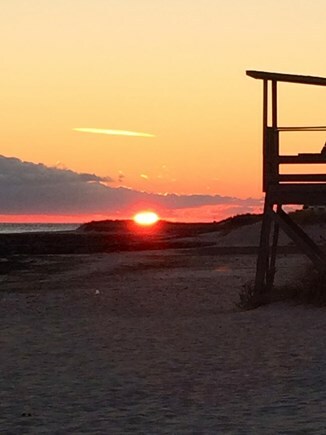 We are only minutes from the world famous harbors in Harwichport and Chatham, and the Nantucket and Martha's Vineyard ferries. 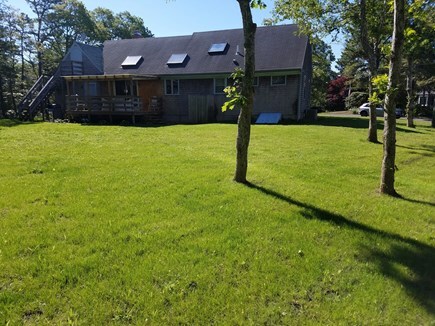 We are only feet from the Cape Cod Bike Trail with access from the cul-de-sac and close by the shopping areas of Chatham and Harwich. 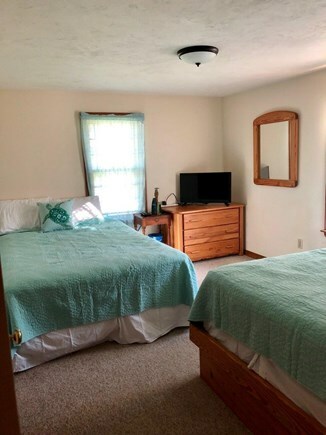 Our home has CENTRAL AIR CONDITIONING and all new furniture and beds, a dishwasher, washer/dryer, cable TV, Internet, BBQ grill, and an outdoor shower, and linens are provided. 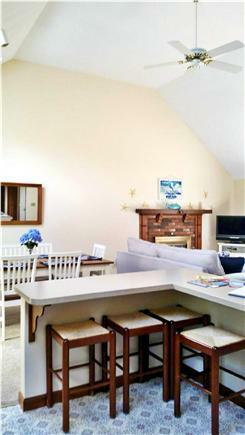 This was my family's first time renting on the Cape and this house checked all our boxes for a perfect rental! We loved it!! 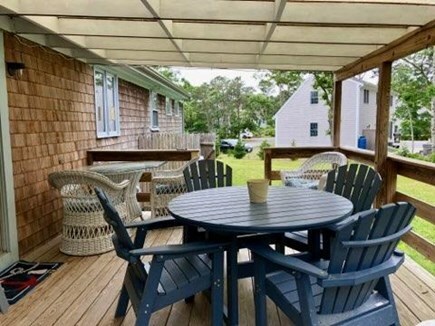 The house is spotless and updated with all the amenities you need for an amazing Cape vacation....literally steps from the bike trail and minutes (short bike ride) from Red River Beach which was magnificent!! Thank you, Karen. It was my pleasure. 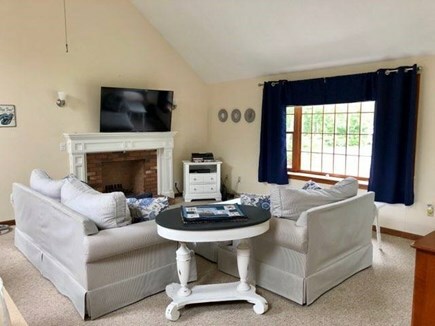 My wife and I have been going to the Cape for several years, each year renting a different property hoping to find someplace that felt like home. Well, our search is over. This house was updated and clean. The open floor plan created an airy and comfortable atmosphere. It was spacious for us and our new born baby with all the baby equipment. We used the gas grill every night and the kitchen was well equipped with lots of space to prepare food and baby bottles. We made use of the washer and dryer. There was a lot of extra bedding and towels. The central air conditioning kept us comfortable even on hot humid days. The location was very convenient. We were a short walk to the rail trail and a short car ride to the beach. The homeowner was easy to reach whenever we had questions. She was extremely warm and helpful. We plan on renting this property every summer. A great couple looking forward to them returning next year. 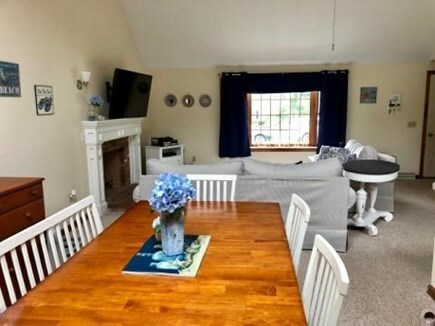 We could not have asked for a better experience at this rental! 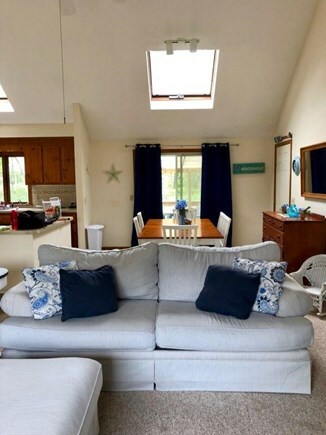 We loved the spacious living room and all of the natural light from the skylights, and our experience with the owner was fantastic! The location was perfect, and we especially enjoyed the cable and wifi because it rained some during our stay, but this house was the perfect getaway, and we can't wait to vacation here again! Our family had a great time at this Cape house. We especially enjoyed the screened in porch where we enjoyed quality family time. 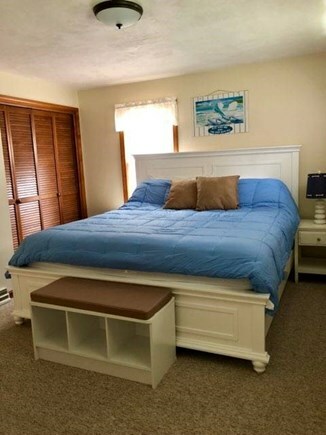 The house was beautifully appointed with all the amenities and is situated in a nice quiet neighborhood. The owner Robbin was so helpful with everything and even had a great book with all local activities and restaurants recommendations you could want. I highly recommend this rental and look forward to returning soon.